On Thursday, Final Gravity will release Final Frontier, a Mango Gose brewed in collaboration with Three Notch’d Brewing RVA Collab House. The keg will be tapped at 4pm and pint Specials on the new release from 4-7pm. A portion of the proceeds from the beer will go to The James River Home Brewers Association. Isley is celebrating with a “New Years Eve Eve” party on Saturday. Live music from MOOSSA. Isley is also letting fans of the brewery submit ideas for the next Isley beer to be released next year. The winner will get access to their creation and bragging rights of course. Bring a gift for their White Elephant gift exchange, which will begin at 8:00pm. No limits on gifts that can be brought in, but each participant will be guaranteed to leave with something special! Food: Jus Cukn. 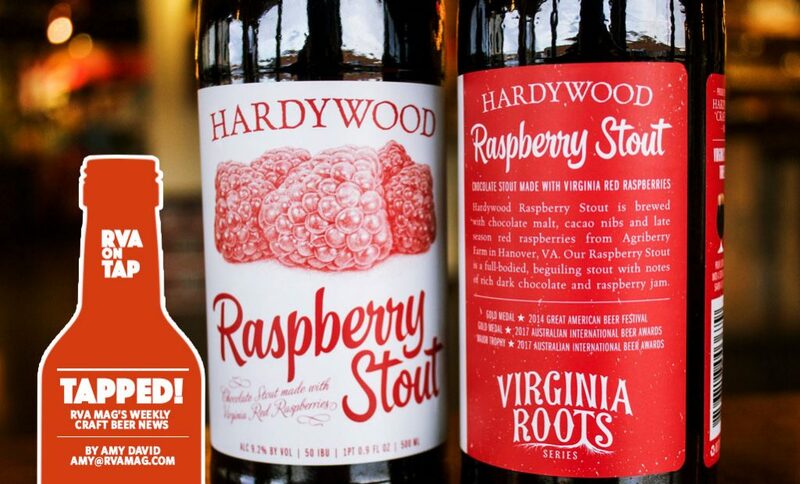 Hardywood will release its Raspberry Stout Saturday, a chocolate stout made with Virginia raspberries from Agriberry CSA and Farm in Hanover. The stout is available for draft pours in the taproom, and in growler fills and NEW 500mL bottles to go. 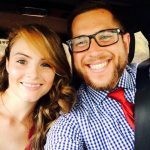 This Thursday, from 5 to 9 pm, Strangeways Brewing will host its Cheer for Charity event with 10 percent of sales benefiting American Foundation for Suicide Prevention. Strangeways will also be ringing in 2018 with a New Years Eve celebration of their own. There will be comedy, burlesque, music and more at the free event and come dressed in your best Onesie or your favorite PJs. There will be a PJs and Onesies contest. Castleburg Brewery will release For Love & Intrigue, a Cranberry & Star Anise Saison on Saturday. On Saturday, Center of the Universe Brewing will release its Jeffrey Apple Brandy Barrel-Aged Imperial Milk Stout. The base of this beer is an imperial version of the El Duderino White Russian Milk Stout, minus the vanilla beans and was aged for a year in apple brandy barrels. The Veil Brewing Co. will kick off their own NYE party as well with their second annual balldrop. Beer inside and out, champagne toast, DJs BillyCrystalFingers, Dj Chenchilla Anthony Bryant spinning tunes, food from Intergalatic Tacos, and more. $5 admittance fee beginning at 7pm until close(12:30am). Also starting at 7pm, The Veil will switch to drink tickets. 12oz drink tickets(no 6oz option) at $8(tax included) each. At 7pm, they will be selling glasses of French champagne for $8. And we missed it last week, but Vasen Brewing dropped Guava Gose and Session Saison. The former is tropical, salty, and sour and the latter has hints of banana and berry flavor. Drop by and try some before its gone! Ardent Craft Ales will throw its NYE bash with GPE BBQ’s Mobile Kitchen. Buskey Cider will throw a New Years Eve Party featuring drink specials, food, a complimentary toast, and a commemorative glass. They will be pouring countdown drink specials ending in dollar drinks! Ticket includes: Entry, Complimentary New Year’s Toast with an exclusive cider, Commemorative Buskey Cider NYE 2018 Glass, food, a special one night only cider release, and midnight balloon drop with Buskey prizes. Tickets $45.